Written by trlrtrash13 on 22 March 2009 . 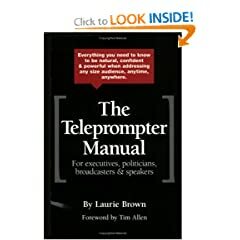 This is the memoirs of Barack Obama's teleprompter. Now sure, it is a little early in his administration for such an effort, but after all, it is the teleprompter for the guy who wrote his memoirs before he actually did anything.